Quilts by Khristel Johnson specializes in one of a kind, uniquely designed quilted wall hangings. Khristel's quilt wall hangings have been exhibited in various galleries, exhibitions and shows. Most recently her works of art were exhibited at the Joyce Gordon Gallery, a commercial fine art gallery located in the downtown district of Oakland, California. Please visit Khristel's website, Quilts By KJ, to see other examples of her work. Family members provide pictures of individuals who are related. Khristel then creates exquisitely and uniquely designed family panels. 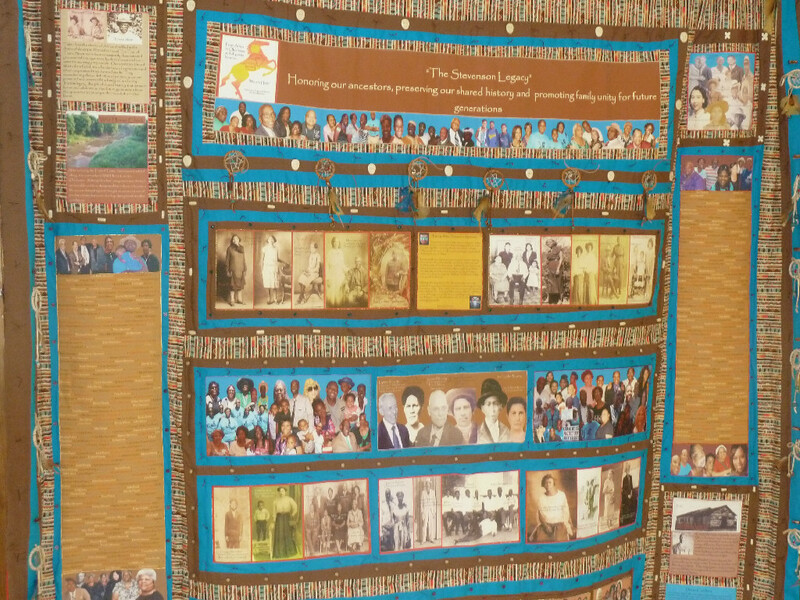 The family panels are then incorporated into a quilted wall hanging. 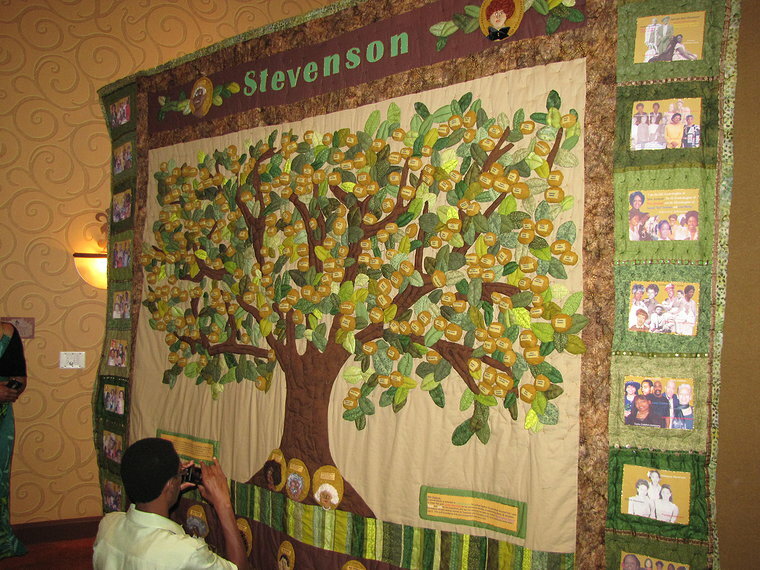 Khristel has created several wall hangings celebrating the Stevenson Family Heritage.